With its discovery-enriched curriculum design, students in CityU Marketing interact and connect with world-class professors, top business leaders, experienced alumni, and executives from partner companies. They are strong in teamwork, presentation, problem solving, and communication with people of different backgrounds and cultures. As key technologies and trends will drive changes in the marketing industry, our various digital marketing courses are set to prepare students for facing the challenges of the digital marketing environment. Marketing Analytics are powerful tools to maximize the effectiveness of marketing efforts’ and optimize their returns. With analytics, resources are used more efficiently, and wastage is minimized. This new curriculum equips our students to comprehend the output of various analytics tools, and then to use the insights generated from these tools in formulating the best marketing strategies. Design Thinking involves creative strategies to resolve issues. This is a powerful process for developing innovative solutions to problems. Our pioneering curriculum is the first in Hong Kong to integrate knowledge of marketing with design thinking, and to prepare our graduates for leading the teams that design or re-design brands, or that reinvent the offline/online user experience for customers. 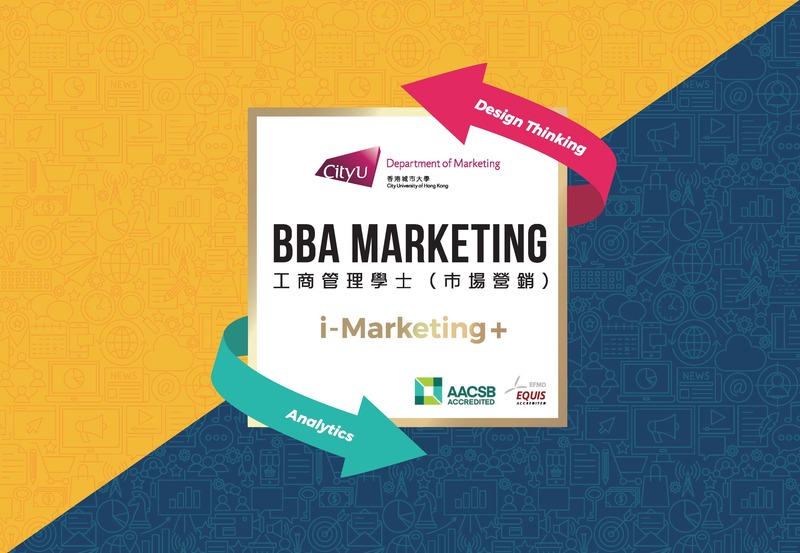 Why BBA Marketing at CityU College of Business? 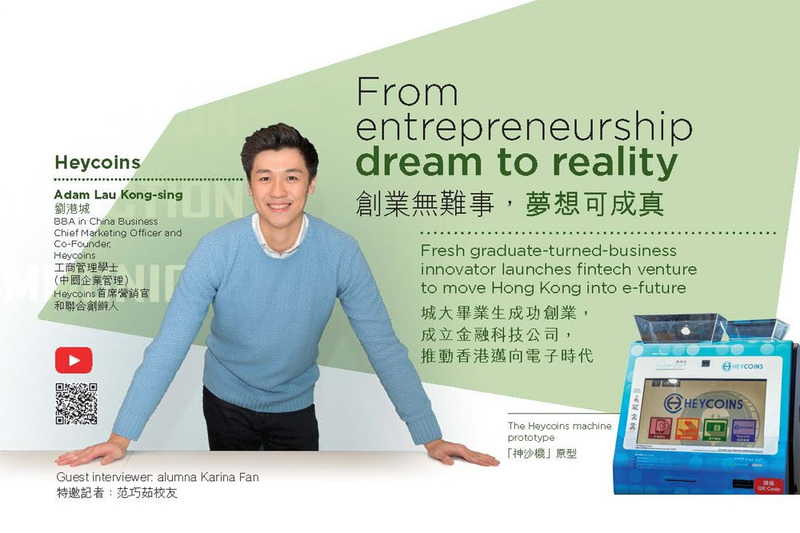 The CityU BBA Marketing programme not only provides students with an interactive Internet-related learning environment and international exposure, but also with practical opportunities through which they can address real business issues by working collaboratively with local and global companies and peers. Students can combine classroom learning with on-site internships by working in top companies. CityU BBA Marketing is your best choice, setting you apart from other marketing graduates in the industry. Marketing careers are not only exciting and rewarding, but can also lead to top management positions. Marketing is an ideal field for those who enjoy working in teams and formulating strategies for company growth. 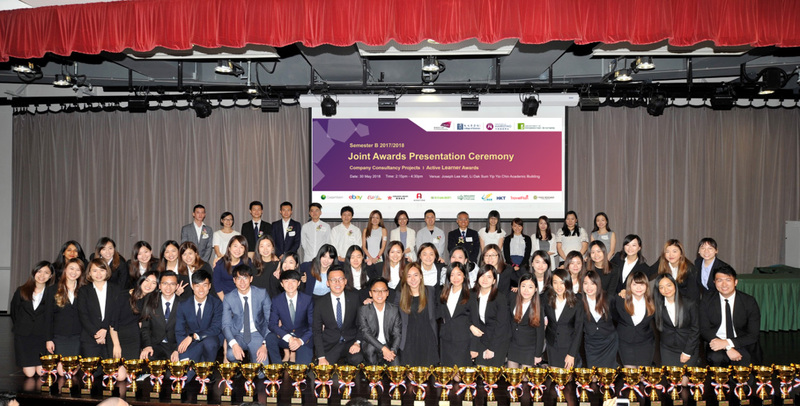 ProLink, the first networking and learning activity jointly organised by the Department of Marketing and the CityU Department of Marketing Alumni Association, was successfully held on 20 February 2016 in Academic 3, CityU. A total of 37 students and 11 alumni attended the event. We invited Mr Spencer Wong, CEO and Chief Creative Officer of McCann & Spencer, to share his experience in the Advertising and Media industry with the participants. Refreshments were arranged after the talk to provide a platform for students and alumni to network with each other and with the guest speaker. We emphasise current issues in Marketing and provide ample learning opportunities for students to gain professional competence and create their own success stories. Our students work as professional consultants and their tasks involve understanding consumer buying behaviour, analysing key competitors and formulating creative and cost-effective marketing strategies, to explore new business opportunities. The Company Consultancy Projects are well recognised in the industry and widely reported in the media. All of the participating companies highly commend the students for their creativity and presentation skills. Every year, many outstanding students have received “Company Consultancy Project Awards” for their innovative strategies and contributions. Our students gain rich work experience through internship programmes, which include the Disney Cultural Exchange and Business Practice Internships organised by the College of Business. They enjoy the numerous opportunities offered to them in prominent advertising firms and in the marketing departments of global brands. To provide students with a more concrete and in-depth understanding of the real business environment, we regularly invite marketing professionals and business leaders from different sectors to share their unique work experiences and success stories with students. Dinner events with the speakers are arranged, to provide students with valuable opportunities to interact with business leaders. Past guest speakers include Mr Wing-Ching Shih (Founder of Centraline Property Agency Limited), Ms Ming Chan (General Manager of Hong Kong Airlines) and Ms Lily Au (Managing Director of General Mills Hong Kong and Taiwan). “The Marketing Programme has equipped me with the skills and knowledge necessary to embark on an illustrious career. The many academic and co-curricular opportunities, combined with the unfailing support and guidance from the Department’s renowned academics, provide a platform enabling ambitious students to excel and to realise their dreams”. “I really enjoyed the courses in CityU Marketing, and the lecturers were very good at both equipping us with the necessary knowledge in business and marketing and helping us to plan our careers. The most impressive thing about this programme is that all students have the chance to practise their marketing skills in the real business world during the final year projects. It was a valuable experience, and we worked with senior executives from multinational corporations. I am proud to be an alumnus of CityU Marketing”. “Let me take this opportunity to thank everyone in the Department of Marketing. The professors and lecturers in the programme inspired me in terms of entrepreneurship, creativity and business ethics. Equipped with this valuable knowledge, I started my second business in sustainable education and kids’ soccer training, and now I am the Principal of the school. My first business was a marketing agency that I ran for 13 years”. the development of social responsibility through community services and voluntary work.